Groceries delivered in 1 hour without a trip to the store. Order from local grocery stores like Whole Foods Market or Costco and get your groceries delivered when you want them! Create a grocery order with a few taps, from fresh fruit and vegetables, to meat, seafood and home essentials. Our Personal Shoppers will pick and deliver your order in as little as 1 hour! Save time and take back your weekend! – Set the delivery time that YOU want! – Save hours every week – not standing in line and driving to the supermarket! 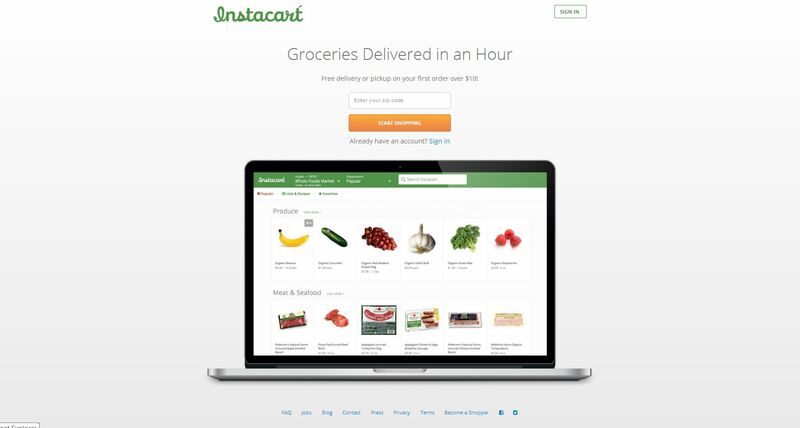 *Instacart is an independent business and is not necessarily affiliated with, or endorsed or sponsored by Costco, Kroger, The Food Emporium, Super Fresh or other retailers mentioned on this app. Use code YLAASSEL1 to take $10 off. LOVE instacart! I always hated the lines at the supermarket, now I get them delivered within the hour it’s fantastic! Getting beautiful just got a hell of a lot easier. Book a Private Jet Instantly. Book in-home hair & makeup from a network of vetted beauty professionals. Join our mailing list for discounts, new services, and upcoming cities.